Welcome to McKinney Ranch Family Dental! We are here for all of your dental needs! With such a diverse culture that we are surrounded by we have added a “Google Translation” tool on the right of each page for your convenience. We have opened our doors at the new location on December 4th, 2017 for all of our patients new and old. Thank you for those patients of ours that have followed us over as we tried to make the transition as swift as possible. As the location and name of the office have changed, we are embracing social media even further as well. We will become more active on our Facebook page and our Twitter posts as well as adding to our Yelp page. Current and future patients are able to contact us directly through our phone number, email, or the form on our contact us page. Those needing to fill out paper work for either a new patient or to update information, can find them conveniently placed on the new patient page for you to print out and complete in advance. Follow the links below to find us on social media, keep an eye out for our specials! 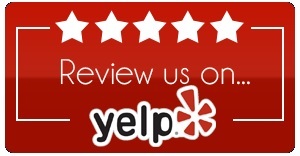 Be sure to leave us reviews on how well we have done for you, and share us with your friends!